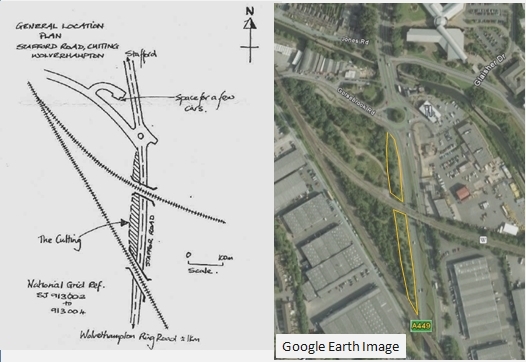 Situated on the west side of the A449 Stafford Road approximately 1km to the north of the Wolverhampton ring road is a long rock exposure of Triassic rocks. The exposure principally runs between two railway bridges (SJ913002 and SJ913004 respectively). 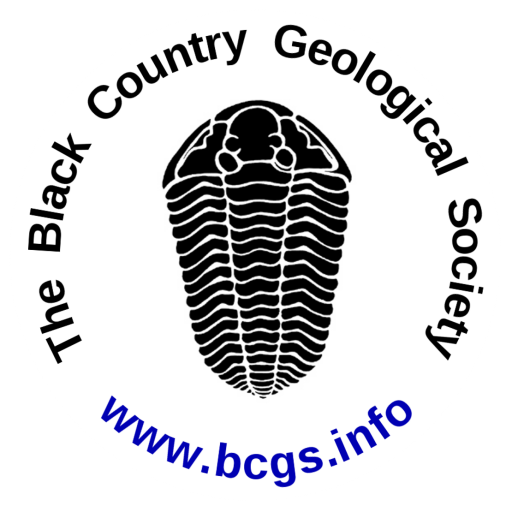 It is the best and most easily accessed example of coarse sedimentary rocks belonging to the Kidderminster Formation (formerly known as the Bunter Pebble Beds) in Wolverhampton Borough. The rocks here are coarse red sandstones, gritstones and conglomerates which show a number of sedimentary features including cross bedding and sorting. The clasts (pebbles and rock fragments in the rocks) are dominantly quartz, quartzites and darker materials which may be of volcanic origin. Many horizons contain blood-red mudstone fragments (mudflakes) and they appear to contain a calcite cement which binds the fragments together. The rocks here are a contrast to the Kidderminster Formation exposures seen elsewhere in the Black Country as they do not contain very thick beds of very coarse pebbles with very diverse rock types but rather show a more restricted host rock source with a fluctuating though relatively lower energy environment of deposition. It is thought that these coarse rocks were the result of erosion of areas to the south that were uplifted by earth movements at the end of the Permian period and that they were deposited in fairly fast flowing rivers and temporary lakes in a semi-arid environment. To the north of the rail bridge at SJ913004, there appears to be an erosion surface which includes a channel which is infilled with unconsolidated yellowish sand and gravel which is probably of fluvioglacial origin. There is space to park a number of cars in a layby in Gorsebrook road a little to the north of the cutting. There is open access to the exposures from the footpath adjacent to Stafford Road.